Due to suitable Packaging we are able to minimize the loss due to breakage in transportation. Each box of tiles is packed in a Carton and then each box is SHRINKED wrapped to ensure safety of the material. Then these boxes are loaded on the pre-designed Pallets, secured heavily with Plastic straps. The container stuffing is also done in the presence of experienced personnel, to ensure best stuffing and maximum material can be loaded. Guarantees good quality products, competitive prices, on-time delivery, and customer overal services across the world. Please feel free to contact us for further information. We are looking forward to establishing business relations with customers from all over the world. We would be very happy to receive your inquiries, please contact us anytime! Address: B6, Tower No.13, Huaxia Ceramics Expo City, Nanzhuang Town, Chancheng District, Foshan, China. 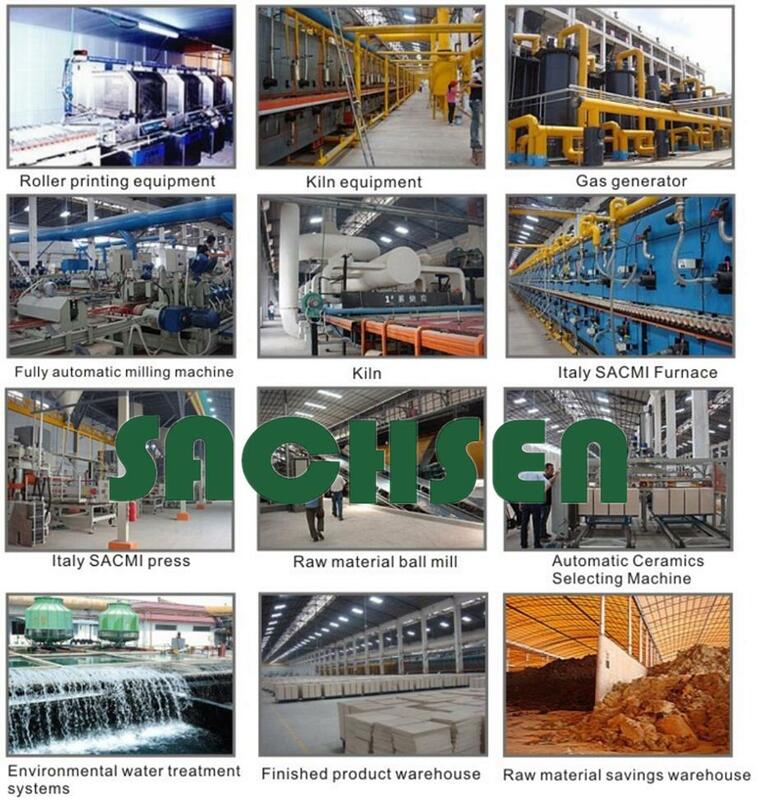 Copyright © Foshan Sachsen Industrial Co.,Ltd All rights reserved.